The City of Meridian wants to transform a portion of its downtown – and is looking for a development team to revamp the block that contains the old Meridian City Hall site at East Idaho St. and Meridian Rd. 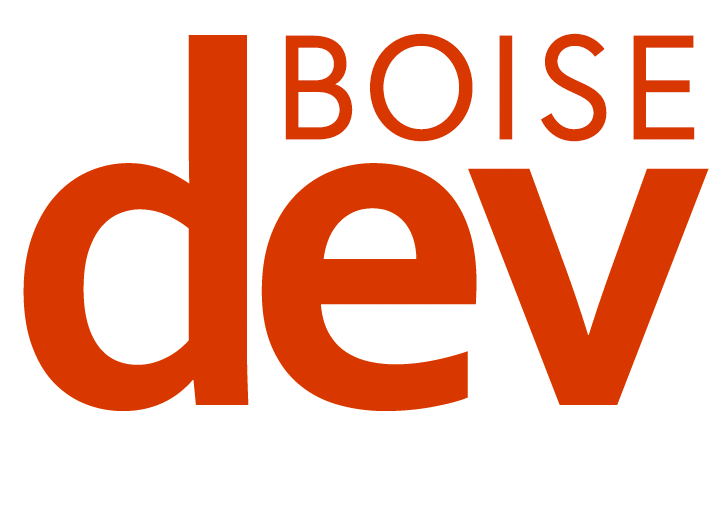 Two proposals were submitted to the City of Meridian, and have been obtained by BoiseDev. 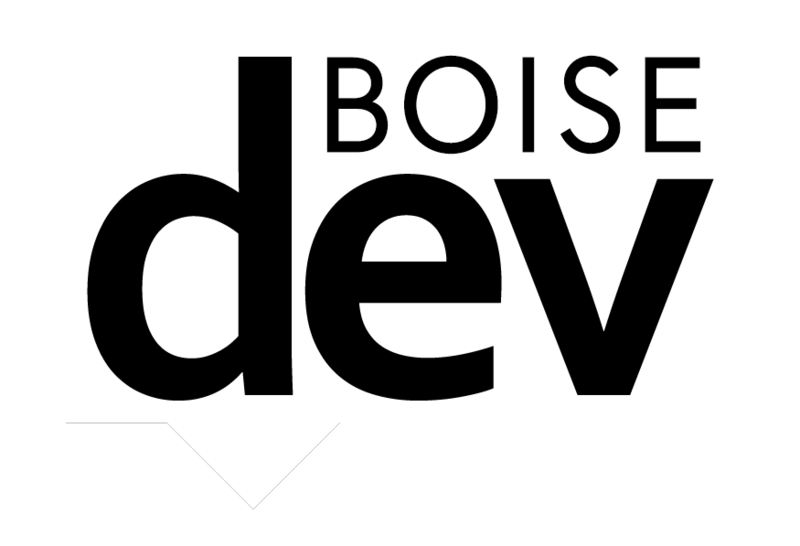 One team is lead by deChase Miksis – the group behind the Afton Condos in Boise and a workforce housing project on Ash St., also in Boise. The other is a combination of Novembrewisky Properties and Pacific Companies. Novembrewisky owns the existing Heritage Building on the block, which is home to the Heritage Hop House. Project financing and pro forma details were redacted for both proposals. 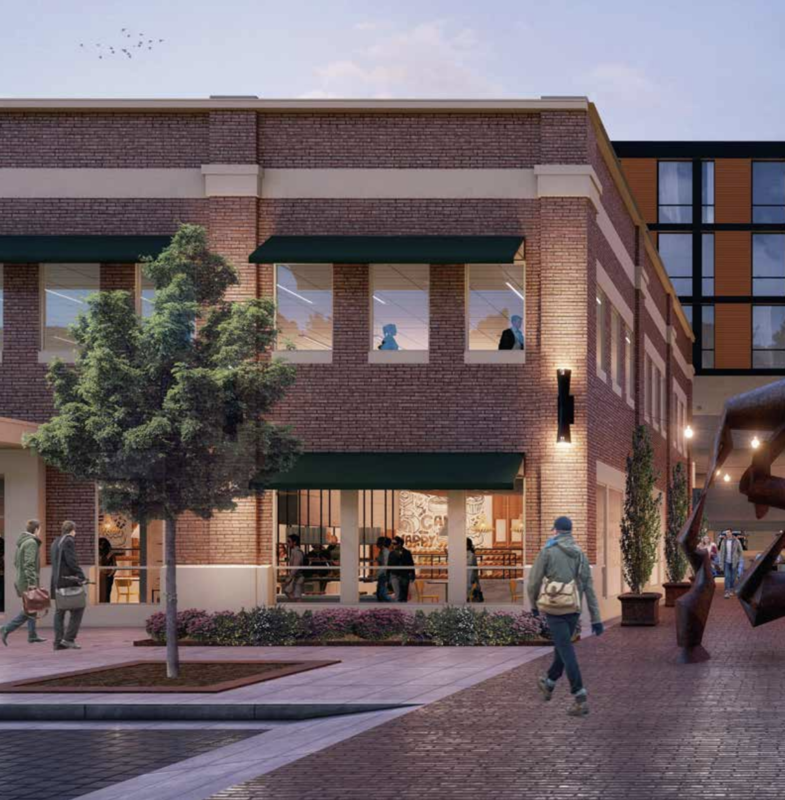 The deChase team proposes a project on the Old City Hall site and the site of the current First Interstate Bank Branch to the south, which would contain retail, residential, office and an integrated parking structure. A “highly-amenitized landscaped courtyard” rooftop deck would serve residential tenants above the parking garage. 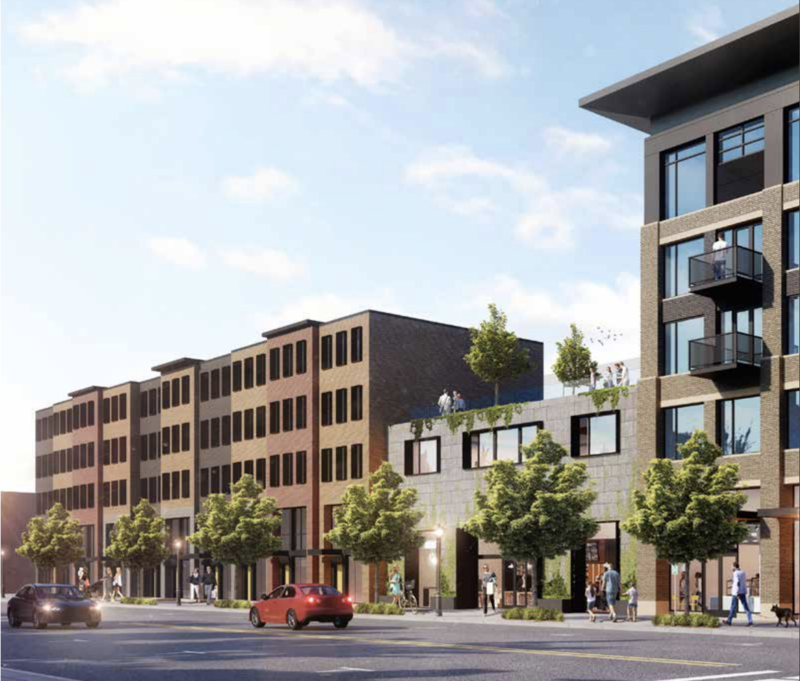 The parking structure would be screened with the residential and retail portions of the building facing Idaho Ave. and Meridian Rd. 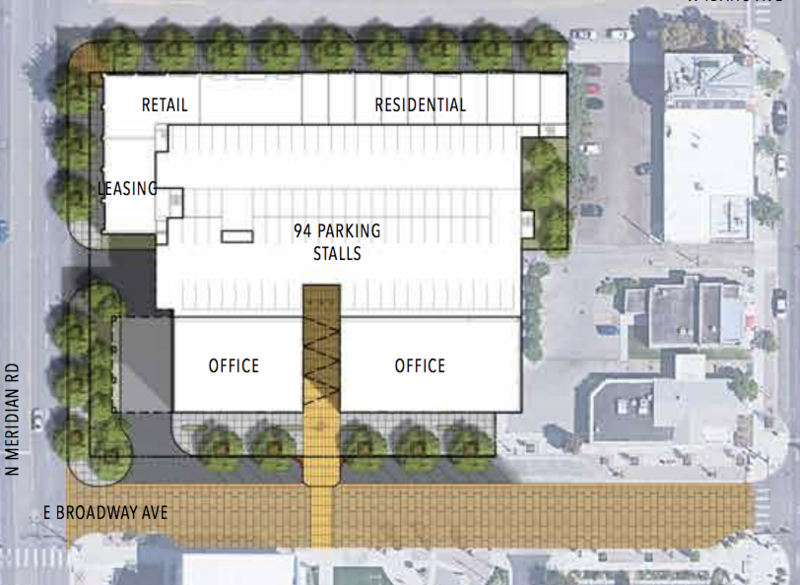 It appears from proposal site plans that a second building matching the existing First Interstate Bank building would be constructed and form an alley that would align with the public plaza behind Meridian City Hall. 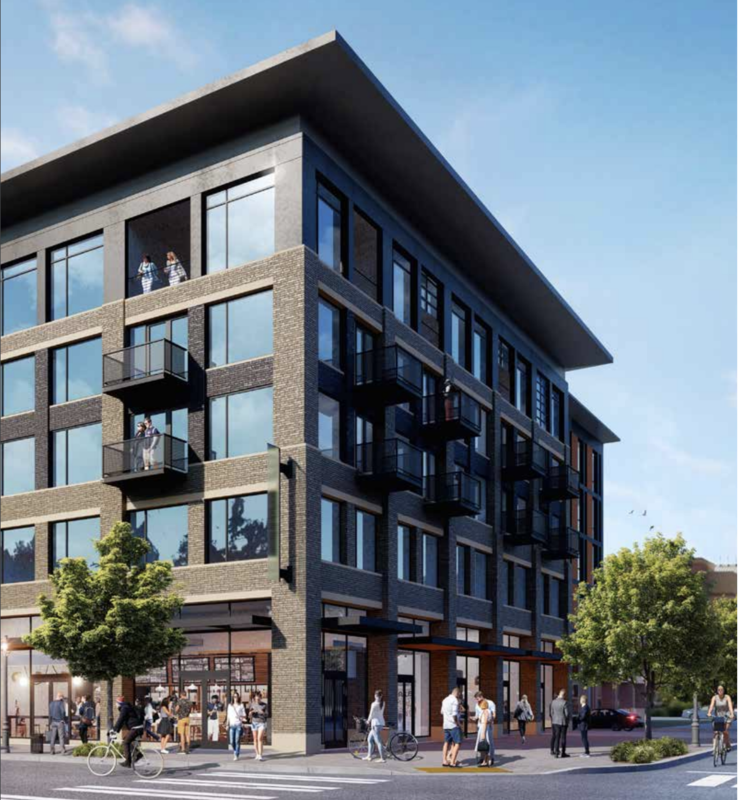 “The ground floor includes street activating use along key building frontages, with office along E Broadway Ave and a mix of retail and residential along W Idaho Ave. Retail and Leasing create a vibrant, distinctive corner at the gateway visible from N Meridian Rd.,” the applicants wrote. If picked, deChase Miksis hopes to be wrapped up and open by Q3 of 2021. 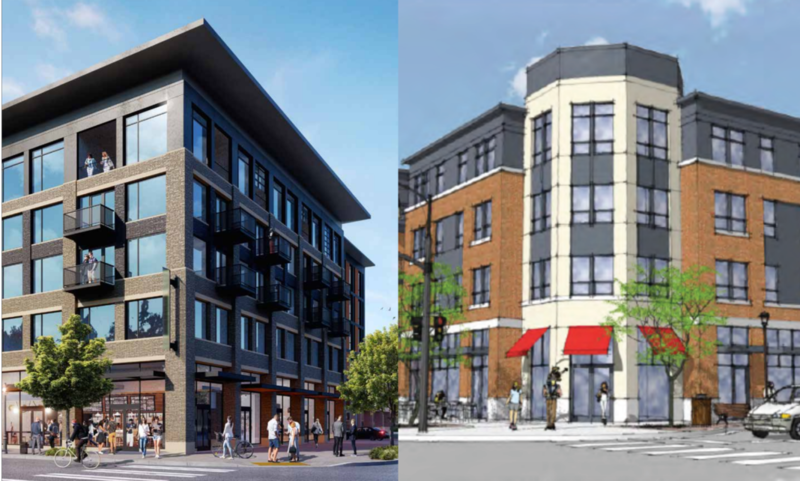 This proposal would build a series of two four-story buildings – with one on the Old City Hall site at Idaho Ave. and Meridian Rd., and another on the other corner of the block at Broadway Ave. and Main St. with retail and residential options and surface parking lots. 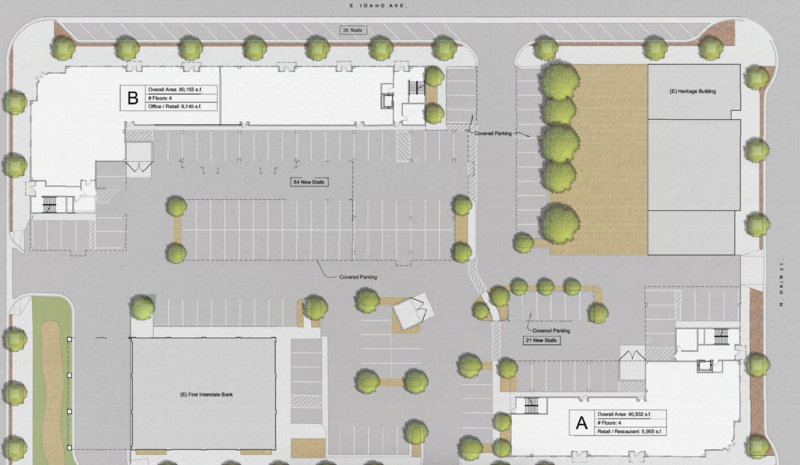 Surface parking for 105 vehicles on site, with additional parking along Idaho Aave. “The architectural strategy is to provide the visual bridge between the modern new City Hall to the south and the historic Heritage Building to the north,” applicant Joshua Evans with Novembrewisky said. They hope to fast-track the project and have it completed in 24 months if their proposal is picked – by November 2020.